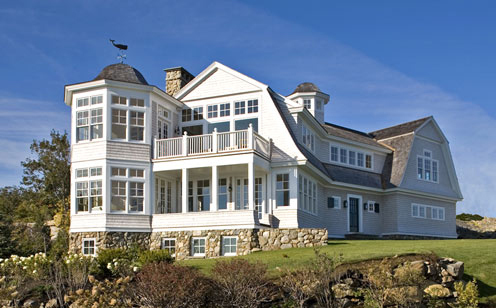 This shingle style gambrel was designed with a "reversed living" floor plan to capture the spectacular views of Perkins Cove and the ocean. The kitchen and great room are on the second floor. The master bedroom suite is on the first floor.